Revere Soviegrn Vinyl Casement Windows with all the outside wood trim covered with aluminum and Fox wood color on inside sashes and frames with factory matching Vinyl trim on the inside . And we installed Cameo Color Mastic 25’6 Quest Panel Traditional 4″ Vinyl siding with Aluminum soffit ( Aluminum will not sage due to gravity, like Vinyl can , and will not rattle in the wind ) and commercial size Aluminum Guttering and 3″ x 4″ Aluminum Downspouts . 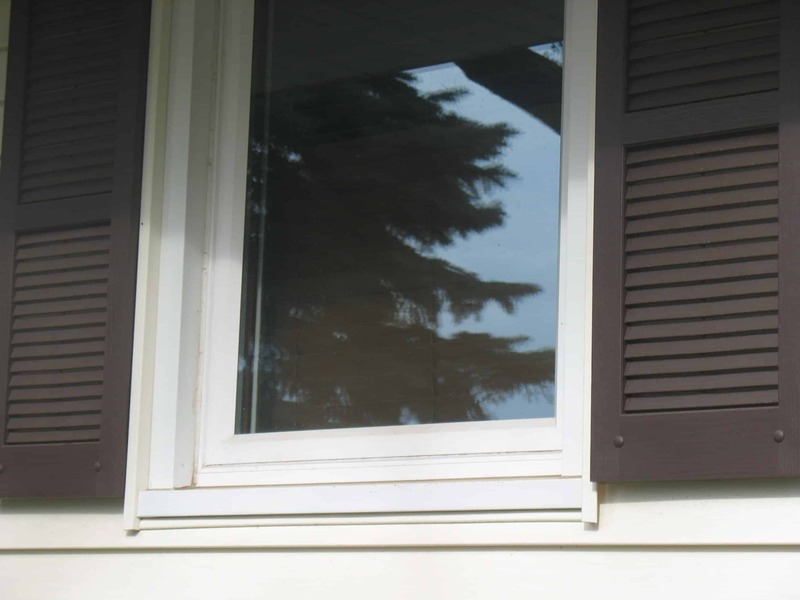 We used 4’x8′ 3/4″ white bead board foam to provide a flat surface for the siding to slide back and forth on as it exspands and contracts and to add insulation while allowing this older home to vent mosture and to provide a sound barrier . 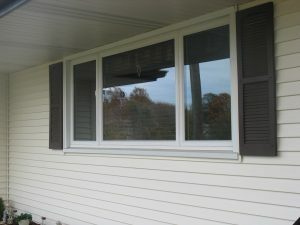 Low E Argon with the added Plus Glass Package made these very energy effecient windows .